NABBED!!! 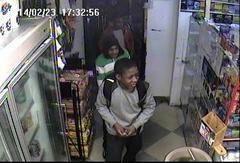 Do you know any of the suspects in a robbery that occurred on Feb 24, 2014 in the 600 blk of Long Lane are? NABBED!!! Thanks to your tips suspects turned themselves in once they realized their pictures were out there for everyone to see. Getting involved and speaking up works! Great job to those who called in or got the word out about these wanted persons. THANKS!!!!!!! 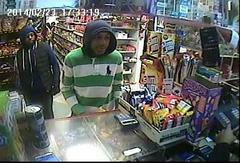 UDPD are seeking help from the public in identifying the four suspects in the attached photos who committed a strong arm robbery and assault of a woman and her child in the 600 blk of Long Lane on Monday, Feb 24, 2014 at about 405pm. If you can identify any or all of the subjects in the photo please call 610-734-7677 or 911 to notify police of the information.